It is now a well known fact that after beating all odds, our dear Chelsea FC has made it to the Champions League final in Munich. It is also a well known fact that having to face an in form Bayern Munich at their home is no easy task. A task which will require nothing less then military precision and strategy. With this in mind lets take a look plan to achieve the unachievable. To hold aloft the trophy which has eluded us for so long. A trophy which was one kick away on a cold Moscow evening. Can the golden boys of Chelsea clinch the cup?! Chelsea come into this game with their worst Premier League position since 2002-2003. At the back of some serious management and player turmoil, Chelsea FC are balanced on a razor's edge. An edge so fine that a defeat will seem them play in next year's Europa League instead of the Champions league for which they have qualified for nine years consecutively. Chelsea's interim manager Roberto Di Matteo has turned what could have been Chelsea's worst season ever into an opportunity of making history by winning Chelsea's first ever Champions League and complete a rare Cup Double. 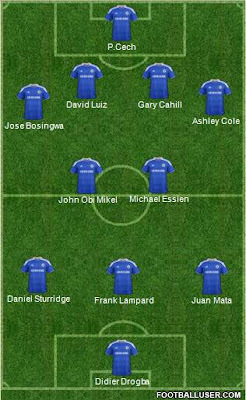 Only a win might see Di Matteo get the job! Chelsea will come into this game with 4 of their key players who were involved in the recent revival, missing out on the most important game of the season. Can the magic against Barca be recreated? Chelsea will miss the services of inspirational captain John Terry and fellow defender Branislav Ivanovic, now a transfer target for Spanish giants Real Madrid C.F. Chelsea will also be without the solid Raul Meireles and most importantly Chelsea will miss Brazilian sensation Ramires whose elegant chip over Victor Valdes was voted as Chelsea's goal of the season. Will he get fit in time? Other than the players missing out,Chelsea also face serious defensive concerns with no first team central defender fit as of now. 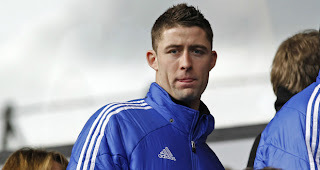 David Luiz and Gary Cahill are both involved in a race against time to be fit for the showpiece event. Another serious and major disadvantage will be facing Bayern Munich at home. Although Bayern themselves have had a patchy season, they were wonderful against La Liga Champions Bundesliga and finished 2nd in the recently concluded Bundesliga. Chelsea will be looking to employ tactics not much unlike the Barcelona game with rigid defending and long ball counterattacks the essential feature. 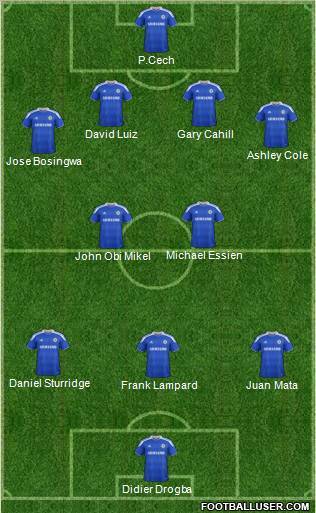 Di Matteo's decision to not field many of the regular players in the games against Liverpool and Blackburn will provide much needed freshness and fitness to the squad which has had arguably the toughest sequence of 20 games ever. 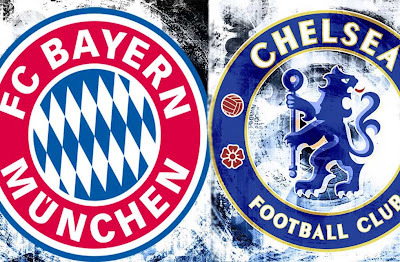 Chelsea will take heart from Borussia Dortmund's 5-2 thrashing in the DFB-Pokal (German Cup). The recent victory in the FA cup and the last window of opportunity to qualify for the Champions League should be enough to galvanize the team to win the Champions League (and also deny arrogant neighbors Tottenham Hotspur a Champions League spot).